Where’s the landfill? The answer is that the whole area behind the road is a landfill. 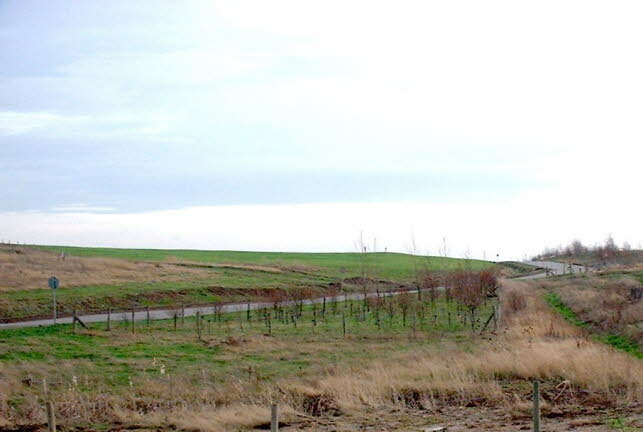 The landscape planting that has been provided by the landfill operator is protected by active landfill gas and leachate extraction.